By century's end, many parts of the world may have to cope with up to six climate catastrophes at once, ranging from heat waves and wildfires to diluvian rains and deadly storm surges, researchers warned Monday. 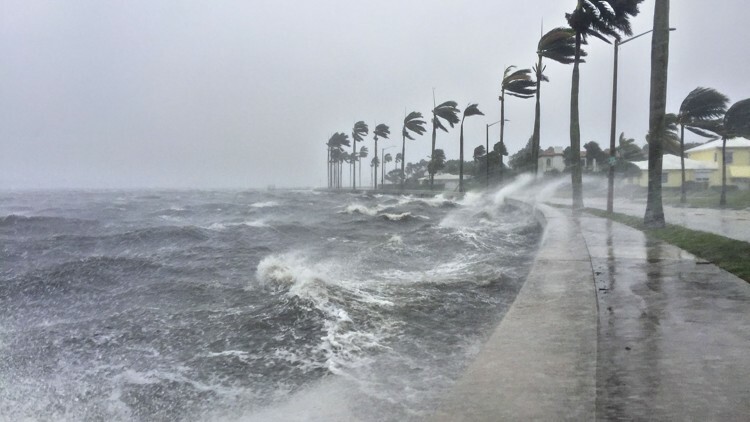 "Human society will be faced with the devastating combined impacts of multiple interacting climate hazards," said co-author Erik Franklin, a researcher at the University of Hawaii's Institute of Marine Biology. "They are happening now and will continue to get worse," he told AFP. Overloading the atmosphere with carbon dioxide, methane and other greenhouse gases has unleashed a maelstrom of life-threatening forces.,p> It begins with rising temperatures, which — in normally dry regions — lead to drought, heatwaves and deadly wildfires, such as those ravaging California. In wetter climes, the result is heavy rainfall and flooding. Up to now, scientists have mostly studied these climate change impacts one-by-one, obscuring the possibility — and soon the likelihood — that human communities will be hammered by more than one at a time, the study found. "A focus on one or few hazards may mask the impacts of other hazards, resulting in incomplete assessments of the consequences of climate change on humanity," said lead author Camilo Mora, a professor at the University of Hawaii. The future risk of dealing with multiple climate impacts at once depends on geography and whether humanity succeeds in rapidly drawing down greenhouse gas emissions. If, against the odds, humanity manages to cap global warming at two degrees Celsius (3.6 degrees Fahrenheit) above preindustrial levels, for example, New York City will likely face a single climate hazard — a powerful storm, perhaps — in any given year at the end of the century. The Paris climate treaty, inked by 195 nations in 2015, calls for holding the rise in temperature to "well below" 2C. Even under these optimistic scenarios, "increasing cumulative exposure to the multitude of climate hazards will impact rich and poor countries alike," the study concluded. But if carbon pollution continues at its current pace, the Big Apple will more likely be hit by up to four such calamities all at once, including extreme rain, sea level rise and storm surges. Sydney and Los Angeles might have to cope with three climate calamities simultaneously; Mexico City four, and Brazil— along its Atlantic coast — could face up to five. In all scenarios, tropical coastal areas will suffer the most. To assess the risk of clustered climate catastrophes, Mora and his international team gathered data from several thousand peer-reviewed studies that analysed 10 specific impacts, mostly one-at-a-time. "Our health depends on multiple factors, from clean air and water, to safe food and shelter," said co-author Jonathan Patz, a professor at the University of Wisconsin's Global Health Institute. "If we only consider the most direct threats from climate change — heatwaves or severe storms, for example — we inevitably will be blindsided by even larger threats that, in combination, can have even broader societal impacts." "The costs of inaction greatly outweigh the costs of taking action on climate change," said Michael Mann, a professor at Penn State University. "We can still reduce future damage and suffering if we act quickly and dramatically to reduce carbon emissions." The study, published in Nature Climate Change, also shows which parts of the world will most likely be spared the worst ravages of climate change. Several are in temperate zones close to polar regions, such as Tasmania, and parts of Canada or Russia. "In general, Greenland appears to be the least impacted by multiple climate hazards under the worst case scenario," said Franklin. "It may be time to start buying real estate in Greenland."